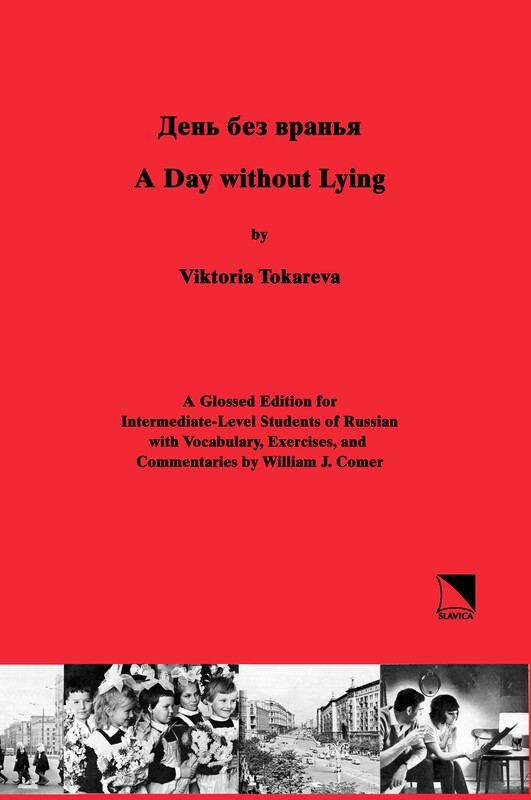 День без вранья (A Day without Lying) draws readers into the everyday existence of a twenty-something Muscovite who has decided to live a single day without telling any lies. Yet the events of this day - from his unruly French class to the evening he spends with his girlfriend and her parents - seriously challenge his resolve to avoid lying. Through the protagonist's wry, ironic reflections about himself and his world, the reader gains insight into the human condition and the specific challenges of living in the Soviet Union in the 1960s. Viktoria Tokareva (b. 1937, Leningrad) launched her writing career with the publication of the story День без вранья in the journal Молодая гвардия (Molodaia gvardiia) in 1964. Since that time she has written countless stories and novellas about the fate of men and women trying to get by in contemporary Russia. Widely read in Russia and Europe, her works combine humor and psychological insight into everyday characters and situations. William J. Comer is Associate Professor of Slavic Languages and Literature at the University of Kansas, where he coordinates the Russian language program and prepares graduate students to teach in the language classroom. His areas of scholarly specialization include Russian language pedagogy and Russian culture. The companion website for this edition offers additional materials for both teachers and students.